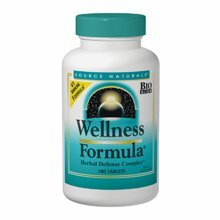 I?ve been taking Wellness Formula for about a year and a half, and it has saved me from getting super sick numerous times. I will say that it doesn?t necessarily keep you from getting sick, but it can lessen the virus. I have 3 kids, and work like a dog, don?t get much sleep, and I used to get REALLY sick quite often. I still get the occasional cold, but if I take more of the pills when I feel it coming on, it ends up being a minor cold. A few months ago, a terrible stomach bug hit this house and everyone (but my oldest got it). This house was bug central. I took the recommended dose, and did not get the bug. That has NEVER happened! It?s really difficult to avoid a stomach virus when you?re cleaning up after everyone who has it! During ?wellness times?, I take 1-2 pills a day. Definitely recommend it for busy moms!